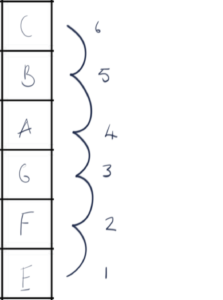 Figured bass uses numbers beneath bass notes to illustrate the chords that go with them as a kind of shorthand for keyboardists and other instruments. It was primarily used in the Baroque period. Historically composers did this not just to save time, but because it was a normal thing for players to improvise more and realise their own version of the chords underneath. So in a sense you can see it as a bass line where the continuo player (the person who realised the figured bass) filled in the harmony. This is called ‘realizing figured bass’. 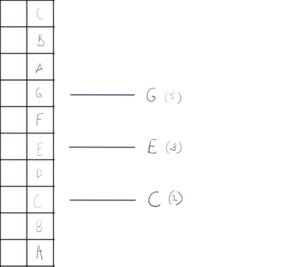 Core to understanding figured bass is understanding the intervals that the numbers represent. To remind ourselves of intervals, let’s look at a simple musical alphabet with no sharps or flats. I’ll put it vertically in a grid. Now hopefully you already know that if we go from C to D that’s called a second. If we go from C to C (the same C) it’s called a unison. Let’s briefly review all the other simple intervals. We could also do this starting at a different point on the grid. For example starting at G and going up to F would still be a seventh. We could also do this inside of another key. However, let’s stick with going from the note C inside C major for now. 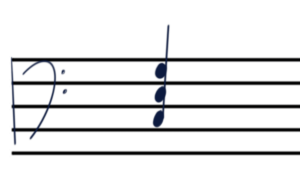 We don’t at this stage need to think about what type of third or fourth or fifth it is – as figured bass is diatonic (unless otherwise shown by sharps and flats as you’ll see later). In other words, C-up-to-E is simply called a third even though it’s a major third. Counting up from D to F is still a third even though it’s a minor third. 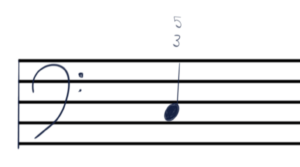 Now if we count the space between the bass note (a C) and the next note in the chord we have the interval of a 3rd between the bottom note and the next. 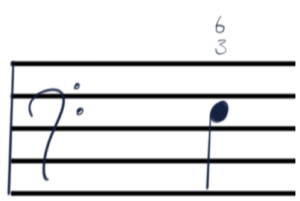 So above a bass note of C, we could write ‘3’ to imply a third. If we then count up from C (the bass note) to G we have a fifth. 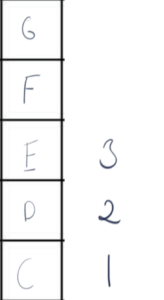 So we could write a five above this 3 here. So what we are left with is the original note (C) and a 3 above and a 5 above that 3. We could imagine that the C itself is 1 and we are playing 135 – where ‘1’ is C.
So that’s the first, most basic indication of figured bass. In fact, that example is really just to introduce you to the logic of figured bass. When a composer wants to imply a root position chord, they don’t even write the numbers ⅗ over the top. That’s because root position chords are the most common and someone who is realizing figured bass will assume that a bass note without a number above it is a root position chord. Let’s review a few inversions so we are prepared going forward. I will be describing these all in closed position. The chord not inverted is called ‘root position’. The first inversion of a normal triad is (surprisingly) called first inversion. Second is called second inversion. And there is no third, because if we invert the chord one more time, we are back to ‘root position’. However, when you have 7th chords, you add a fourth note to the chord. So there is one more possible inversion. Let’s look at that. And third is called third inversion. 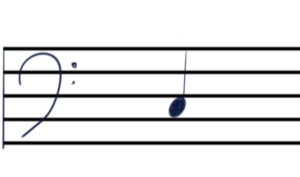 First inversion triad in figured bass. 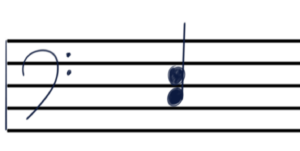 If we stick with the standard C major triad we would then have the following notes in the following order: E (in the bass) G and then C.
What’s happened there is the C has gone up to the top of the chord and the E is on the bottom, with G next and then C.
Although the bass note now is technically the ‘third’ of C major – figured bass doesn’t really think of it like that. So forget that way of thinking of E for now. Because E is the bass note then figured bass thinks of it as 1. 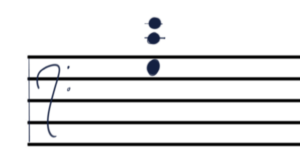 Because C is now on the top, the distance between the bass note (E) and the top note (C) is now a 6th. Lets see that. So the two numbers above the bass note of E are 3 and then a 6 on top of that 3. However, in practice you will only ever see the 6. 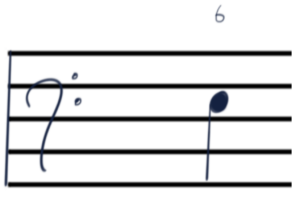 So when you see a 6 above a note – it implies a first inversion triad. or some other first inversion voicing. 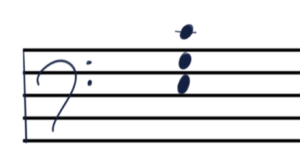 Second inversion triad in figured bass. 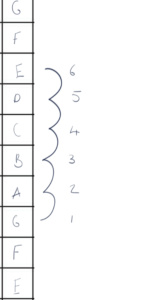 Now we have the following notes in the following order: G (in the bass) C and then E. What’s happened there is the E has gone up to the top of the chord and the G is on the bottom, with C next and then E.
Because E is now on the top, the distance between the second note (G) and the final note (C) is now a fourth. So the two numbers above the bass note of G are 4 and then a 6 on top of that 4. There are many other figured bass numerations and symbols, most obviously the ones that result from using 7th chords. However, for grade 5 this is all you need to be aware of so this is where I’ll wrap it up for now. Hopefully the above has given you a good overview of how figured bass reflects chord inversion and how basic figured bass symbols work. It also will allow you to know how to realise figured bass in any key. 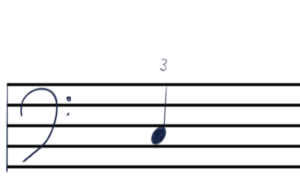 What does figured bass ‘4’ mean? 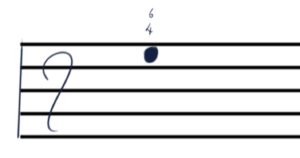 The ‘4’ that you sometimes see in figured bass implies a suspension of a fourth. It’s often shown as 4 with a dash and then a 3. “4-3”. This implies the suspension above the bass note of a fourth and then resolving to a normal root position triad. No one really ‘invented’ figured bass. Like most things in music notation, it sort of evolved with individuals inventing new conventions and shorthand. Improvising accompaniments on the organ for choral works was a normal thing during the latter part of the 16th century. In the 17th century, chordal accompaniment became more and more important as polyphony became more prominent. Why is figured bass important? It helps you think intervallically as a musician. In other words, visualising how notes lie vertically in relation to one another. It’s less common to encounter it with anything written after 1700, but being able to create chords yourself as a performer is a very powerful musical skill – hence why we practice it. How can I practice figured bass? Reading the scores of composers like Corelli and Purcell will provide you with a huge range of examples written in Figured bass. Click the links above for a search through many of their scores. Figured bass, thoroughbass and basso continuo are all very closely related and basically involve the same thing. A deeper in depth look at the difference between them can be found here and also here. 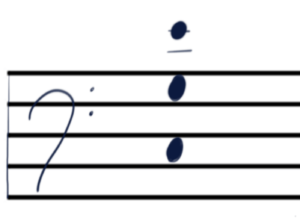 What are figured bass accidentals? When you see accidentals like sharps and flats in figured bass, this is referring to notes outside of the key. As mentioned earlier, figured bass with just the numbers is diatonic. In order to create a Dmajor chord in C major therefore – you would need to use a sharp symbol over a bass note of D. This would imply an F# on the third note. Difference between Jazz Chord Notation & Figured Bass. So the difference between Jazz Chord Notation & Figured Bass is that Jazz chord symbols tell you the whole chord type by name and expect you to know it. However, technically speaking figured bass gives you instructions of what to do with your bass note to create a that particular chord type/inversion. In other words, it’s instructions of how to create the chord above the bass note. You could look at it like, when you see a Jazz chord, you know what you’re about to play & when you look at figured bass it’s a surprise what you are going to play until you work it out from the bass note. 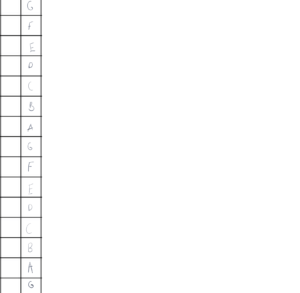 In practice however, once you’re reasonably good at reading figured bass you recognise the numbers in very much the same way a Jazz musician does when they look at chord charts.